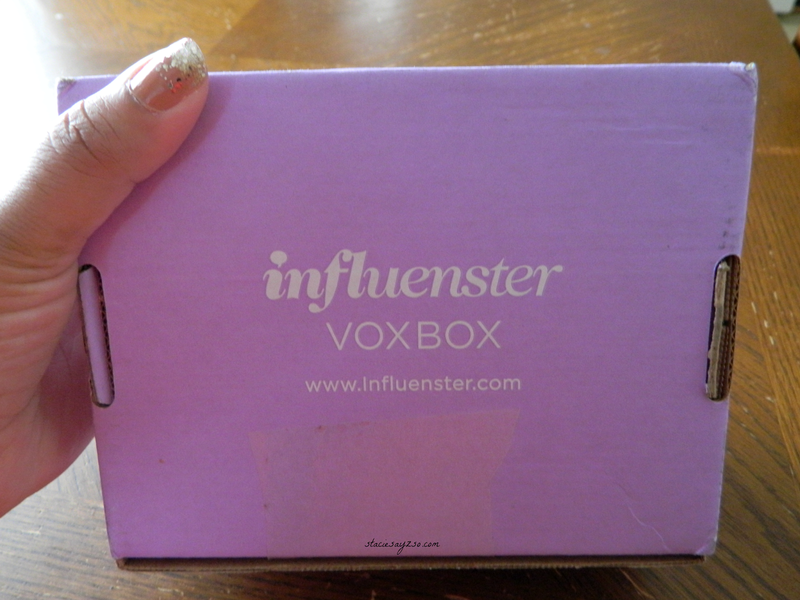 Influenster has done it again! They have sent another Voxbox to your girl. I've definitely put in the work for them, so it's nice to be rewarded. 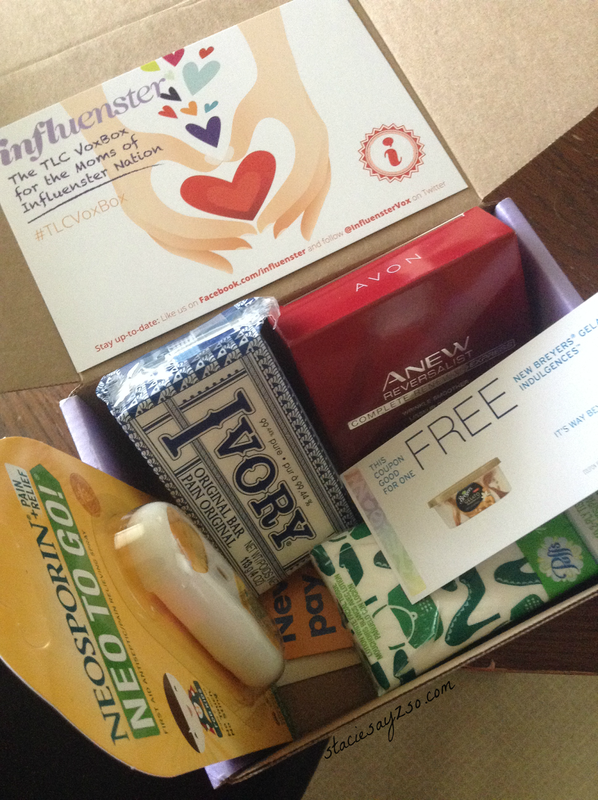 This time, I got the TLC Mom Voxbox. Ivory Soap Bar $3.99 10pk. - I can always use soap. Puffs To Go $0.49 - Great for my purse. Breyers Gelato Indulgences coupon $4.59-$5.99 - Yay! This ice cream is the bomb! Avon Anew Reversalist Express Wrinkle Smoother $30 - I don't really have wrinkles, but I'll try it. Neosporin To Go $4.97 - okay, this could be useful. Shell Fuel Rewards Network card - Aw, I thought this was a gas card :/. $0.25 off my second fill up might equal free gas though? Not super exciting, but still nice. I think I'm most happy about the Gelato. So happy that I got in my car right away and went to the store to redeem that sucker! Would you like to be a part of Influenster? If so, contact me for an invite! Yes, the ice cream was my favorite as well. I had the tiramasu and it was decadent. I need to do a post as well, but just haven't gotten around to it yet. Influenster really does offer the best stuff - mostly useful. Girl, I loved the Tiramasu! I may even be a little addicted! Infleunster really is the best and easiest way to get freebies. Definitely do the surveys! You never know what your gonna get. I've gotten quite a few voxboxes and I enjoy it! Can't go wrong with ice cream! I received one box during the holidays and haven't done one since.The Neosporin to go is perfect for my active kids.